We’re local – and we’re family. This means someone who cares will answer the phone, listen to you, and remain dedicated to helping you reach your goals, every time. We choose to do the right thing because it’s the right thing to do. We don’t allow consequences to determine how we treat our customers. The first generation Bullard believed the right choice is always clear. He instilled that core value into this company, and now, in our third generation, we carry out his values every time—no exceptions! 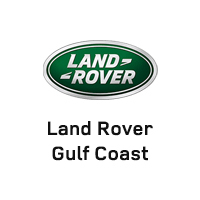 At Land Rover Gulf Coast, we take great pride in providing customers with the highest quality of service we can. Visit our showroom today, and we’ll be happy to join you on your journey toward a new Land Rover. We can’t wait to work with you, and you’re welcome to get in touch if you have any questions before your visit.